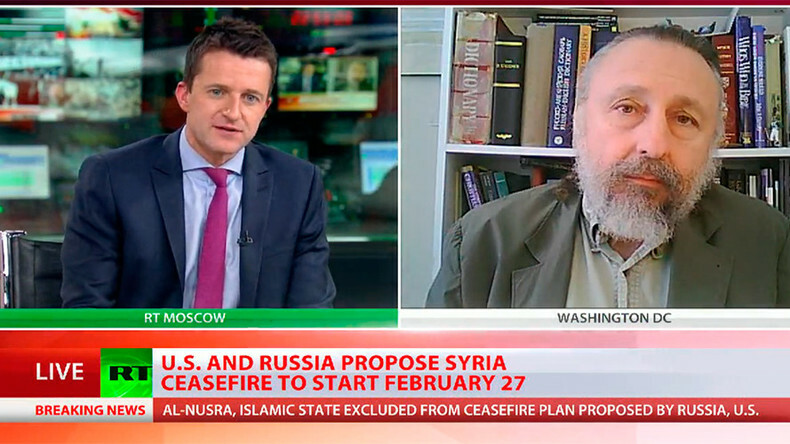 By adopting terms for a cessation of hostilities together with Russia, the US showed Turkey it is not going to support Ankara’s efforts to send troops into Syria and NATO won’t come to rescue them later, former US diplomat Jim Jatras told RT. RT: How confident can we be that this new agreement will hold? Jim Jatras: I am not real confident, but it is the best thing we have got going right now. Look, nothing like this would be happening and there would not even be a chance of a viable ceasefire if it was not for the Russian air campaign in Syria and the advances made by the Syrian Army, with Russian support, which has essentially forced the various terrorist groups supported by Saudi Arabia, Turkey and - let’s be honest about it - by the United States, into a very precarious position where they are essentially suing for peace. Whether that will hold up, whether they can really agree on who is really a terrorist aside from Al-Nusra and ISIS, we’ll have to see. 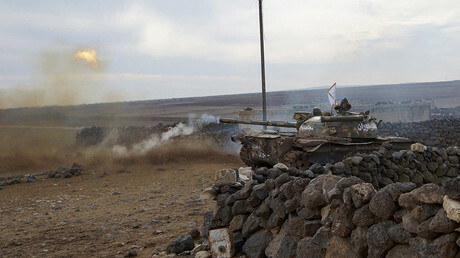 There are many other pitfalls that could come up, for example, things like provocations that the Syrian Army is ‘violating the ceasefire,’ when instead it is being staged by one of the rebel groups. We have a long way to go here, but at least this is a possible path to a negotiated settlement. RT: The US State Department said the cessation of hostilities is for all sides and that includes the Turkish shelling of Kurds inside Syria. What's your take on that? Will Turkey comply? JJ: It is difficult. If you look at the text of the agreement, it does not specifically mention Turkey or Saudi Arabia, although I suppose you could infer them for mention of the ‘US-led coalition,’ which of course they are not really members [of]. Turkey is really concerned about the Kurds and they are supporting various other terrorist groups in Syria. I think one reason this agreement came about between the United States and Russia is because the Turks and the Saudis for the last few weeks have been making a lot of noise about their willingness to intervene on the ground in Syria to save – let’s face it - their terrorist assets there, but only if the Americans led the way. We made it clear that the Americans are not going to lead the way and their bluff has essentially been called and that is one reason why we are at this juncture today. RT: What action could be taken against Turkey if they violate the ceasefire? RT: The White House spokesperson has said there may be some setbacks in implementing the plan. What was he referring to? What possible hurdles might they be facing? JJ: There are numerous things. Who are the terrorist groups? What provocations could take place? Where is the enforcement mechanism here? There is a long way to go here and even assuming the best of will - which in Syria is a pretty big assumption to make - there are a lot of things that could go wrong here. I think that is one reason why the military option from Damascus with Moscow’s support needs to stay on the table. RT: The Syrian Army has been making a lot of gains recently strengthening Assad's position in the country. What does this ceasefire mean for them? JJ: If there are any genuine opposition groups, any groups that are genuinely Syrians - because you have to remember a lot of these fighters are foreigners who are willing to enter into a political process with Damascus. Meanwhile the Syrian Army is making gains against ISIS. 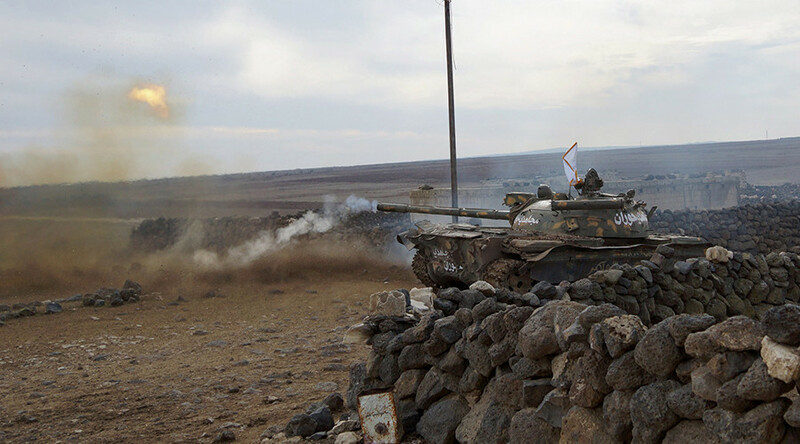 There is now a reason to think that the Syrian Army could start advancing towards Raqqa. Nothing in this agreement is going to stop them from doing that and it seems to me that they will be able to put even more resources into the struggle against ISIS and Al-Nusra. RT: How much sway do you think Russia might have over Syria here? JJ: I think the Russians obviously do have some influence with the Syrians, but it is one of a genuine partnership. I do not consider the Syrian government to be just another faction on the ground; it’s the legitimate government of Syria. That is why I tend to dismiss this kind of talk about: “Well, there is a transition and maybe Assad will go and so forth.” It should be clear to everybody that Assad will stay and we will see some kind of perhaps restructuring of the Syrian state, maybe some kind of autonomy for the Kurds or other groups within Syria, but I don’t think we can doubt that the government is going to stay in place and that Assad will stay there.